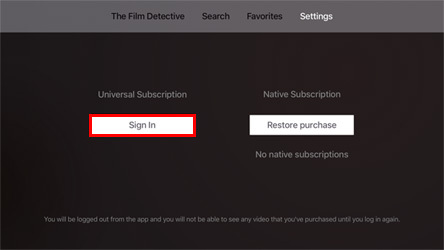 If you are an existing native subscriber to our Apple TV app, please make sure you have the latest version our app (click here for instructions on manually updating). Within the app, follow these steps to restore your purchase. If you are not a paying subscriber to our app and would like to watch our library ad free, you may subscribe here for our universal subscription. This allows you to watch our content, ad free, across all of our streaming platforms. Or, if you prefer, you may also subscribe to a native Apple subscription by following the in-app prompts. 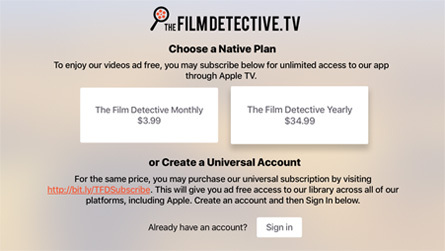 This option will only allow you ad free viewing in the Apple TV platform. To make sure that you have the latest update of our app, please follow these instructions if you are not enrolled in automatic updates. 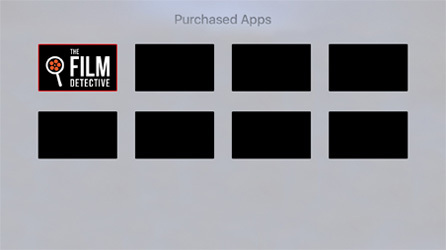 If you have an existing native platform subscription (ie: you subscribed through Apple TV), please visit our “Original App Users” section. If you take no action, you will not have access to our updated app builds, or our universal subscription. 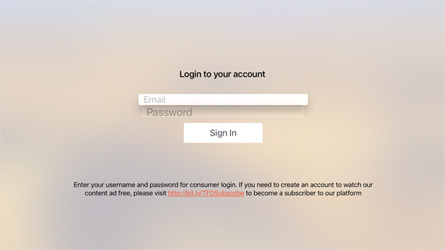 Though we’ve tried to automate this process for you, because of some technical reasons and your security, we are unable to transfer your original, native platform, account to our universal subscription. Never fear! If you email us your receipt of original native purchase, that includes the date of your purchase, we will help migrate your account and credit you for the remaining time on your native subscription. This will allow you to enjoy ad free content across all of our streaming platforms. If you do not wish to migrate your subscription, and simply keep enjoying our films on your original platform, then that’s okay too! Your viewing experience within your native platform subscription will continue as before. Please note that to see any of these changes, you will need to update The Film Detective app to the latest version. If you need help doing so, please see the section above.